Idaho is a state in the northwest region of the United States. It shares a portion of the Canadian border towards the north with the province of British Columbia. Prior to European settlement, Idaho was inhabited only by Native Americans, some of which still reside there. In the 19th century, Idaho was originally considered to be a part of the Oregon Country, a disputed area between the UK and the US. After the Oregon Treaty of 1846, it was officially made a part of U.S. territory; it was not only till 1863 that a separate Idaho Treaty was organized. Idaho is subdivided into several distinct geographic and climatic regions. Some of its most vital sources for economic vitality are agriculture, manufacturing, tourism, mining and forestry. Idaho Falls is one of its most popular cities. Medical Imaging, also known as Ultrasound, is an imperative need of the day. 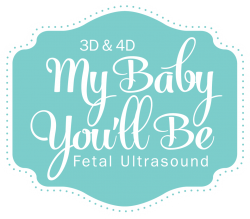 Our website provides with listings of 3D Ultrasound centers according to your location so as to save you time in finding one that suits you best.